It’s hard to find fault in anything Japanese animation filmmaker Studio Ghibli has done. Release upon release, filled with exuberant charm, stunning animation and emotionally engrossing storylines, it’s no wonder they’re often referred to as the “Japanese Disney”. But actually, that’s a rather ill-informed and comparison; Ghibli doesn’t associate itself with countless releases or sub-par, straight-to-DVD sequels. 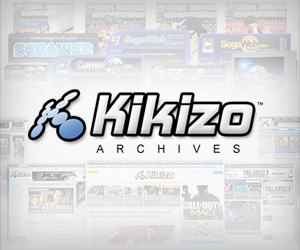 Instead, it focuses on one or two animations at a time, resulting in a catalogue that spans over 30 years, but could easily fit into any individual’s collection. Karigurashi no Arrietty (The Borrower Arrietty) is their latest, and whilst the Japanese can get their hands on the DVD and Blu-ray this month, Britain won’t get the chance (unless, that is, you decide to import a copy) until its cinematic release on July 29th. 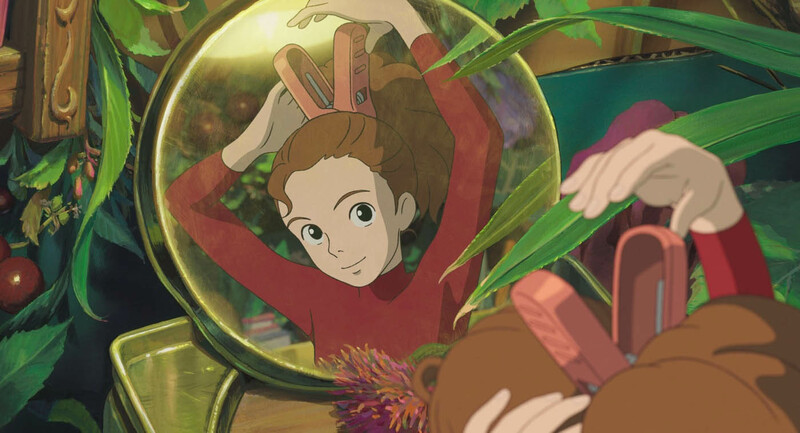 There’s an even longer wait for the US, mind, with Arrietty arriving on the big-screen at the much later date of February 2012. I’d suggest you make sure your local is showing it. 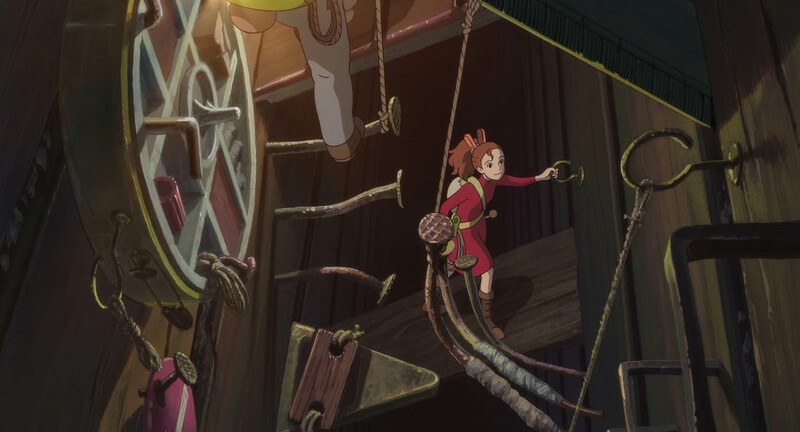 Set in Mary Norton’s The Borrowers universe, the film tells the story of a young girl named Arrietty and her family living out their days under the floorboards of a stunningly picturesque Japanese country home in Western Tokyo. They’re Borrowers, tiny people that hide in the cracks and crevasses of human “beans” homes, borrowing small objects from within the house to stay alive, whilst remaining completely unknown to the residents of it. It’s a charming setting, and anyone who’s familiar with the novels or the 1997 film adaptation The Borrowers, will understand the workings. But Ghibli, as you might expect from a Japanese studio, has taken a rather different turn on the concept. Where it stands out from its 1997 predecessor is in its fundamental idea of entertainment. The original contained an almost unbearable level of perilous situations and cliched “lets get out of here” moments, whereas Hiromasa Yonebayashi (first-time Director of this new adaptation) has almost completely omitted any hints of jeopardy or danger. I’ll give you an example, about 15 minutes into the film, a scene shows Arrietty and her father, Pod, sidling the inside of the walls of the manor. 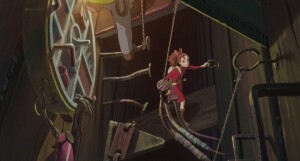 The father spots some menacingly red-eyed rats below and warns Arrietty that they’re trouble: she should avoid them at all costs. Now, in my mind, I instantly pictured a scene unfolding later in the film where Arrietty gets caught up in some crisis involving these rats. But that doesn’t happen. In fact, the rats don’t even make another appearance in the movie. The suggestion is, therefore, that the scene is only there to inform the viewer of an aspect of the life of a Borrower. It’s a fascinating translation, and one that fans of the Ghibli films are no doubt familiar with (My Neighbour Totoro shares a similar theme), but one that could leave Western viewers a bit bewildered. No offense intended, but perhaps I’m not explaining it too well. I’m merely suggesting Arrietty is not something you’d ever see Hollywood make. The plot also centres around a young boy named Shō, who is visiting the house to recuperate from an illness that reveals more about itself as the story unfolds. 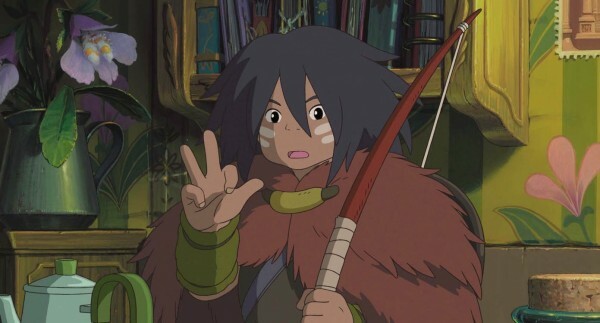 He develops a friendship with Arrietty after he catches a glimpse of her on her first scouting mission. Honestly, though, it feels utterly unfair to the creators to reveal any more than that about the film. Not that there’s anything in the plot that could be ruined through revealing it, just that the whole idea of this film is to tell a story, and for me to type out a few sentences in summary of that would be a complete injustice. My job, instead, should be to give you an insight into the most beautiful aspect of this film: the animation. Some of the scenes in Arrietty put Disney to shame (see Reused Disney Animation), and collectively they’re a feast for the eyes of all ages. If you’re a newcomer to the Ghibli films, you’re in for a treat, however even fans might agree that some of the scenes involving flora and fauna are up there with the best the studio has ever produced. It’s stunning, and I highly recommend seeing it in the cinema or on Blu-ray purely for this reason. That’s not to say Arrietty will be enjoyed by everyone. Some parents, so used to seeing the Pixar and Dreamworks numbers with their children by now, may find the masterful animation passes them by completely, leaving a little confusion as to why the plot seems a tad dry. Kids, on the other hand, should adore this film. The uptight family cat and the dancing bugs will bring laughter through the most charming of ways, and the teapot boat should spark a world of imagination in any child’s mind. Shame, then, that it has taken this long for Western distributors to get around to releasing it across the globe, but such is always the way with the Ghibli films. As it happens, Play-Asia are currently offering the film (with English subtitles) for just under $60, shipping to all regions. Not exactly cheap, but with such breathtaking, hand-drawn animation and more heart than anything you’ll see this year, it’s a relatively small price to pay. 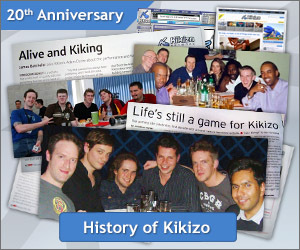 Read More About... Animation, Arrietty, Blog, Disney, Studio Ghibli.